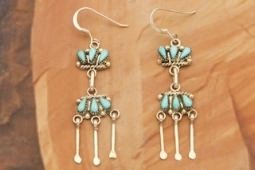 Genuine Sleeping Beauty Turquoise set in Sterling Silver Post Earrings. Beautiful Petit Point Design. The Sleeping Beauty Turquoise mine is located in Gila County, Arizona. The mine is now closed and the stones are obtained from private stashes. 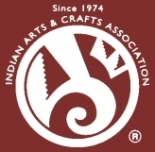 Created by a member of the Zuni Tribe. The Zuni Pueblo is located in New Mexico, Land of Enchantment.